The Early Bird discount for camp registration expires on Monday, April 30. Payment (deposit or full) must be received by that date to qualify! 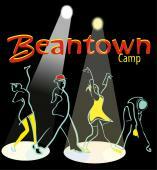 Come to Beantown for a dance vacation! Everything you need is included on campus. No need for a car. No need to figure out where to eat. Immerse yourself in dancing, friends and having an amazing time. The setting is beautiful, right on the shore just north of Boston. World class instructors, incredible dancers, top bands, performances and entertainment, competitions and SO MUCH MORE!!! Join us for our 16th year! There are multiple housing choices to choose from whether you want a single, double (2 beds) or to coordinate with a group of people. Camp runs from June 28 to July 5 with multiple registration options. If you have always wanted to come to Beantown, this will be a phenomenal year to do so. If you’ve never done the full week, do it in 2012. You will be glad you did!